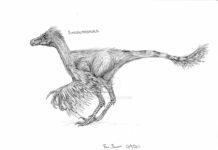 Microraptors aren’t birds but therapods. 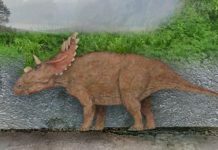 This dinosaur was approximately 3 feet long and probably weighed about 2 pounds. 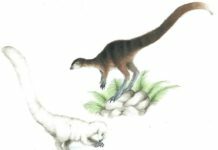 This would make it one of the smallest non-avian dinosaurs to have ever been discovered. An unusual fact about this dinosaur is that it had four sets of wings. One on each of its front limbs and one one each of its hind limbs. Scientists have used electron microscopes to analyze the pigment cells of this dinosaur’s fossils and have concluded that its wings were most likely a black, iridescent color. 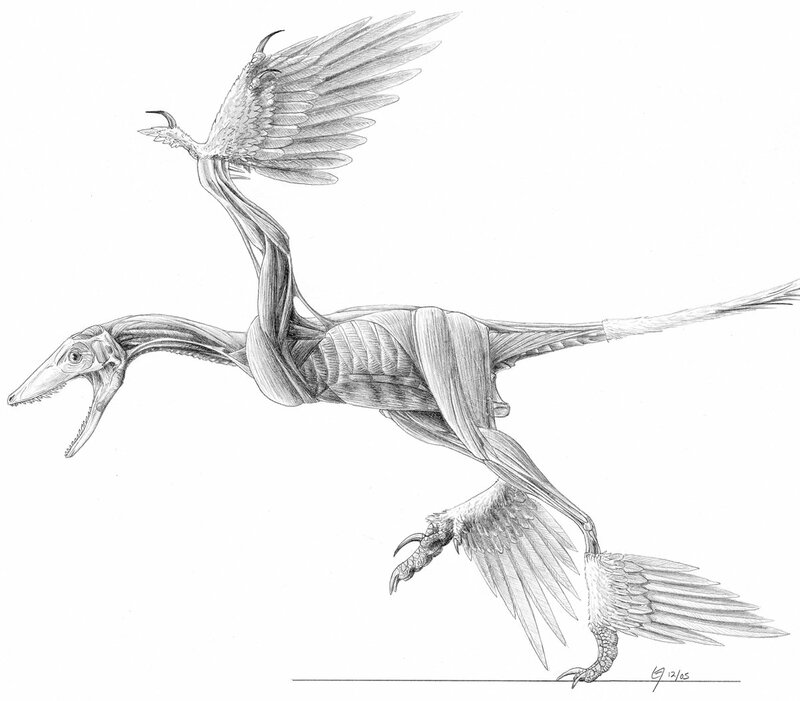 Whether or not this dinosaur could fly has been somewhat of a controversial subject among scientists. 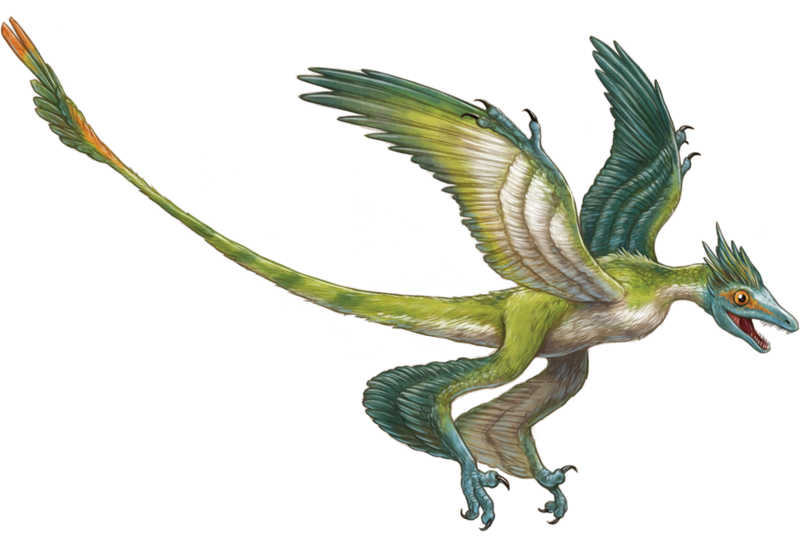 Some scientists speculate that this dinosaur wouldn’t have been able to fly and most likely would just glide. 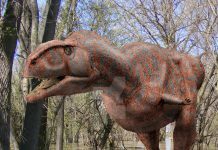 Other scientists have stated however, that this dinosaur did have the ability for powered flight. 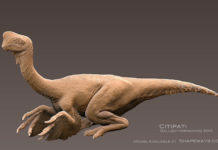 Based upon the fossilized contents of these dinosaurs, the Microraptor is believed to have lived on a diet that not only consisted of small birds and lizards, but also of fish. 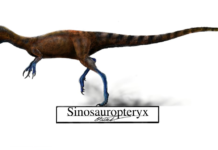 Some paleontologists believe that this dinosaur probably hunted at night, due to the size of its eyes but that idea has met some controversy because many scientist say that there is no proof that any iridescent birds of today hunted at night.